We may not typically equate ergonomics as being part of a company’s safety program; however, controlling ergonomic risk factors is an important part of ensuring a safe workplace environment. 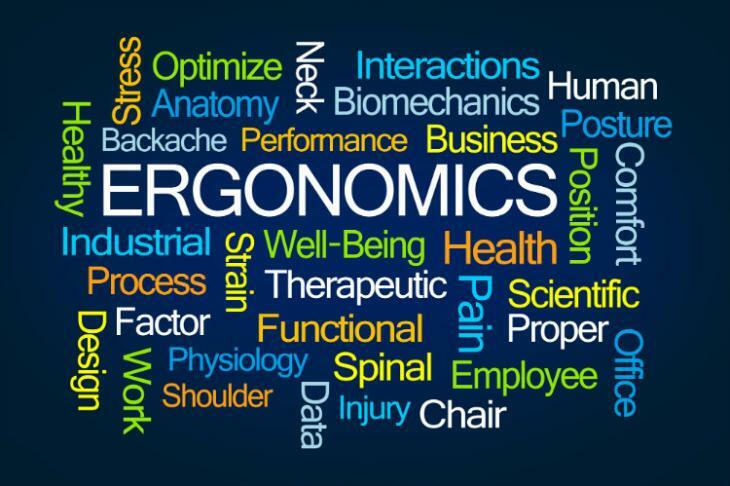 Ergonomic risk factors can lead to musculoskeletal disorders such as carpal tunnel, tendinitis and low back injuries. I thought it might be helpful to review an example of how this might look in an office environment. The goal of ergonomics in the office is to design an efficient space, one that controls ergonomic risk factors and reduces MSDs. Most office employees work on computers today and tend to be in front of it for long periods of time, sometimes working in poorly designed spaces that can lead to MSD injuries. Position your keyboard directly in front of you and at approximately elbow height. If this is not possible, use an adjustable-height keyboard tray. Center your monitor with your keyboard and chair. Use a telephone headset that will allow you to work on the computer with good posture while on the phone. Avoid ear-to-shoulder neck positioning while on the phone. Rearrange your work area to avoid excess stooping or reaching. Use a document stand to reduce the amount of neck twisting or bending forward when typing from a source document. Use a good ergonomic chair that fits your body and sitting habits. Alternate or change up what you are doing. Get up from your workstation occasionally to make copies, file paperwork, do other tasks away from your desk. Take breaks. Be sure to take advantage of the traditional 15-minute break every two hours, but also take microbreaks or exercise breaks. Walking or stretching for a brief time is a great way to relieve stress on the back, neck and shoulders. Change your monitor’s angle. When possible, place your monitor at a right angle with the window. Apply a good quality glare filter to your monitor. Use a light screen background (dark type or images on white or pale background); this is much easier on the eyes. Upgrade or replace monitors with poor resolution or flicker. Work-related MSDs can be prevented. This is one way that ergonomics can help lessen muscle fatigue, increase productivity and reduce the number and severity of work-related MSDs. Ergonomics: Is it Really Worth Investing In?